The NY Times has written another article about the Foxconn suicides. This follows a second pay raise by the company this past Sunday and sheds more light on the incredible number of hours many factory workers are clocking. According to the article, the first suicide, Ma Xiangqian, racked up 286 hours of work time (including 112 hours of overtime) in the month before he died—that’s three times the legal limit. And the pay? The equivalent of $1 per hour. Now, Foxconn has instituted a new policy: stay with the company for 3 months and your monthly salary will be bumped to $300—more than double what workers were getting paid 3 weeks ago. 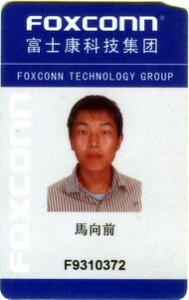 Foxconn’s management and the companies doing business with them (namely, Apple, Dell, etc.) realize they are under a lot of public scrutiny about their labor practices. There is talk of an ongoing investigation—and I hope it is true. But the cynic in me also wonders how much of it is really a CYA campaign. I hope the former, but I suspect the latter. All this has gotten me thinking about the sociological and cultural implications and differences between East and West when it comes to this type of death. I did a little searching for books on the subject of suicide in China specifically and in Asian society more generally. If you’d like to explore things for yourself, here are some titles you might be interested in. As always, check your local library’s collection or take advantage of interlibrary loan. Suicide: The Hidden Side of Modernity. Christian Baudelot. 2008. Posted by Kim in Death + Technology, Suicide and tagged China, Foxconn, stress. Bookmark the permalink.